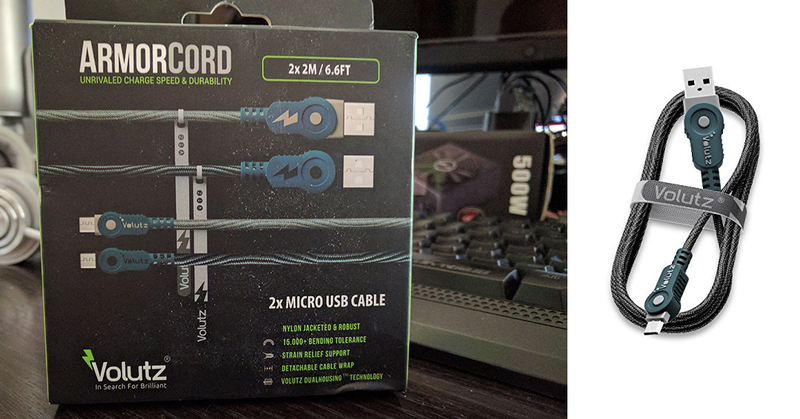 I’m going on a limb and assume that the reason behind the name such as the “ArmorCord” is related to the nylon jacket that covers the cable from each end which re-enforces the cable for abuse, but in the real world is this really needed? Yes, Yes it is! Half the time people are so on edge and are all over the place we do need products like this one. With most cables being on the cheaper side of things, this includes the ones provided by the OEM’s, just one yank and bye bye cable! 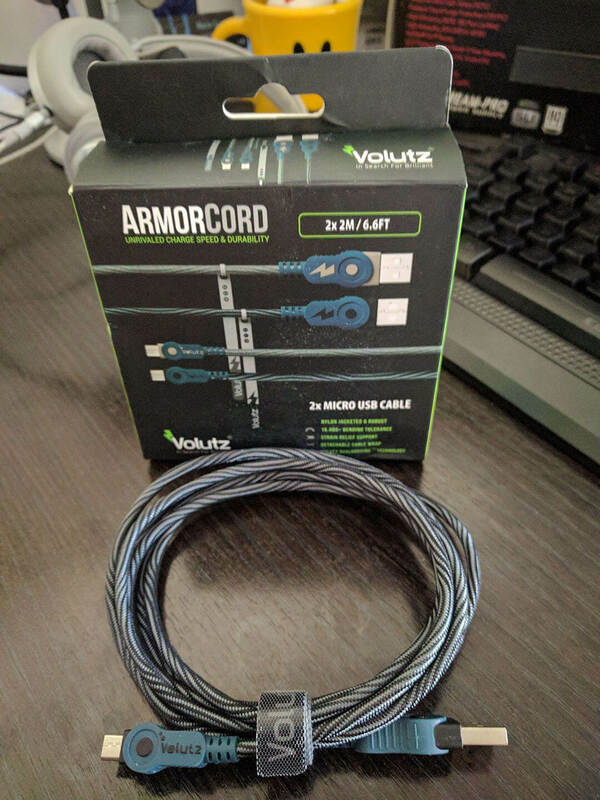 Volutz ArmorCord has been through 15K worth of bending tolerance test, strain relief support was built into the ends of each connector and you’ll benefit from the dual housing casing that Volutz uses for all of its cables. The kit I got myself comes with 2 of them and they are 6.6ft long each, making both of them ideal for connecting to a wall charger while sitting on the sofa and when you’re in bed! Ummm, I’m not sure your wife, husband, girlfriend, boyfriend might approve, but if they are like mine, they’ll need to juice up sooner or later. 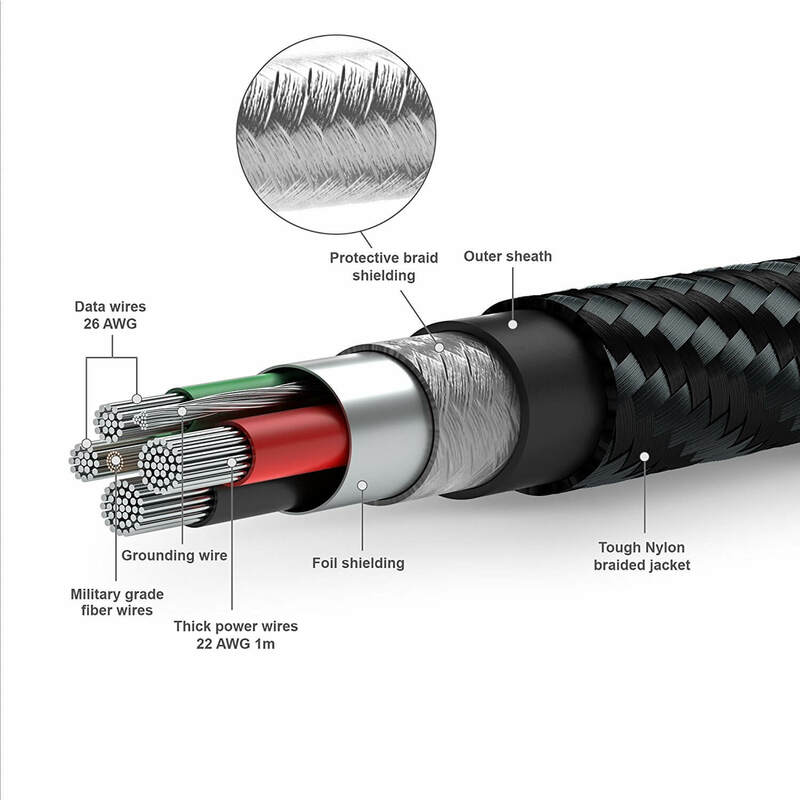 Volutz prides itself on quality, affordability, durability and unrivalled data transfer speeds. 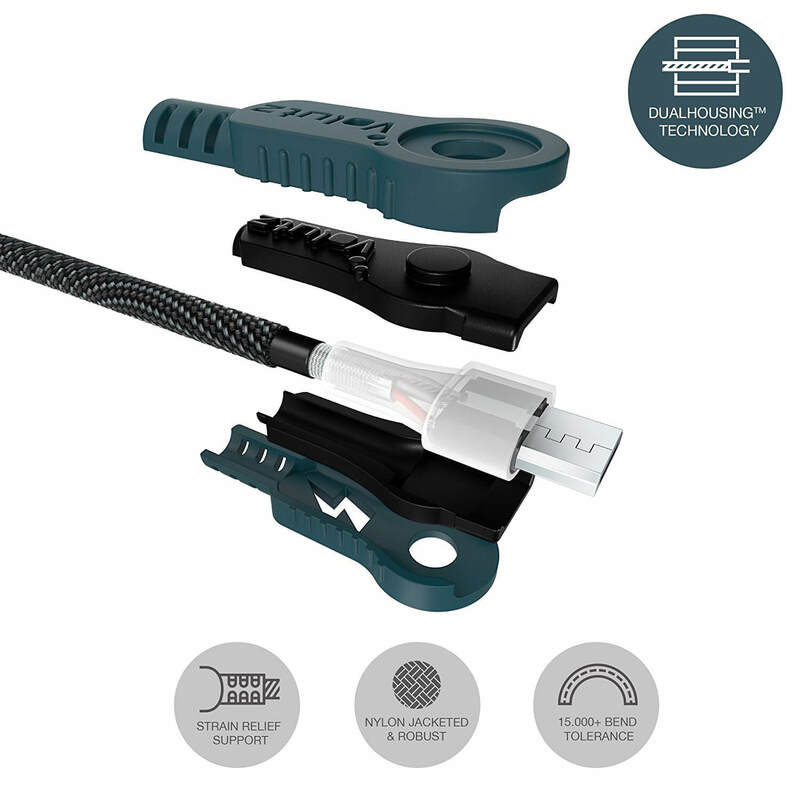 I also travel with one of these and it’s very useful, the camping season is about to start and just about everything I have uses micro USB to charge with the exception of my smartphones, but then again, I also have Volutz USB-C bundle for them as well. Rest assured, I’ve had my share cable mismanagement in my short time! I keep one of them in my Tech Gear Bag 2.0 which serves me every day. With that, I can charge a number of accessories and smartphone and in the office environment I work in, I’m the office go to tech guy with all the cool gadgets. The cable has provided for any number of task, Bluetooth earphones, charging up any number of smartphones and even transferring data from a damaged device with a busted screen. Case in point, Volutz makes high-end accessories that you can count on. The dual set is $15.99 on Amazon Canada which is pretty darn good for the price.